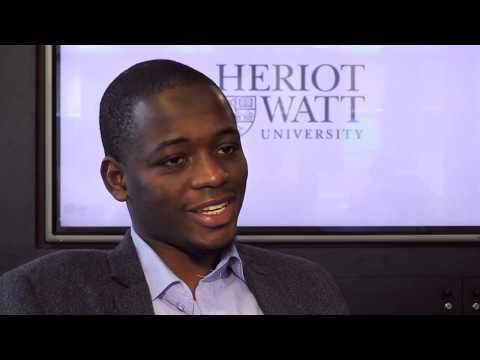 For more information about Mathematical, Statistical and Actuarial Sciences and Diploma in Industrial Training at Heriot-Watt University, please visit the webpage using the button above. If you want to start your career with a year's work experience in hand, then you should consider this programme. It combines the rigorous studies of the BSc (Hons) in Mathematical, Statistical and Actuarial Sciences with a year-long work placement in level 4. Good performance means 12 months' experience of working in an organisation in the financial sector. The Diploma in Industrial Training is gained through successful completion of this work placement. The work placement helps you to develop specific work-related skills, giving you the opportunity to apply and build upon the theory you learn in your studies. It allows you to take on real responsibilities, enhance your interpersonal skills through teamwork and communication and experience workplace culture. The Diploma is available to all students, including those from overseas, as it does not require a work visa. If you are planning to come to the UK using a student visa you should check the Tier 4 Student Visa Policy Guidance to confirm you are permitted to undertake a work placement as part of your studies. It is your responsibility to find a suitable work placement; acceptance onto the programme does not guarantee you a placement. If you are registered on the programme and are unable to find a suitable work placement before the end of level 3 then you can transfer to the standard BSc (Hons) in Mathematical, Statistical and Actuarial Sciences degree. 95% of our 2015 graduates reported in the National Student Survey that they were satisfied overall with their course. 8% are working and studying. Students with Scotland or non-UK EU fee status pay £910 for the placement year instead of the standard fees. Students with England, Northern Ireland, Wales or Overseas fee status pay £1300 for the placement year instead of the standard fees. To find out about the difference between the 3 and 4 year honours programmes, please watch our video to help you decide which route is best for your qualifications and experience so far. Applications from students studying a relevant HNC/HND or recognised Access Programme who possess a suitable grounding or appropriate qualification in Mathematics would be welcomed.